The Good Karma Hospital Season 3 is expected to premiere in early 2019. Fans of The Good Karma Hospital will be pleased to hear that there WILL be a season 3 of The Good Karma Hospital. Series 2 premiered in March of 2018 and wrapped up in April 2018, with the new season announcement happening shortly after. When Will Season 3 of The Good Karma Hospital Premiere? Season 3 of The Good Karma Hospital is expected to premiere on ITV in 2019 around the same time of year as the previous two seasons. So far, one has premiered in February, the other in March (in the UK). Both seasons have had 6 episodes each, so it's likely that Season 3 will also feature 6 episodes of roughly 45 minutes each. Filming for Season 3 began in August 2018. The US premiere for Season 2 of The Good Karma Hospital lagged very slightly behind the UK dates. 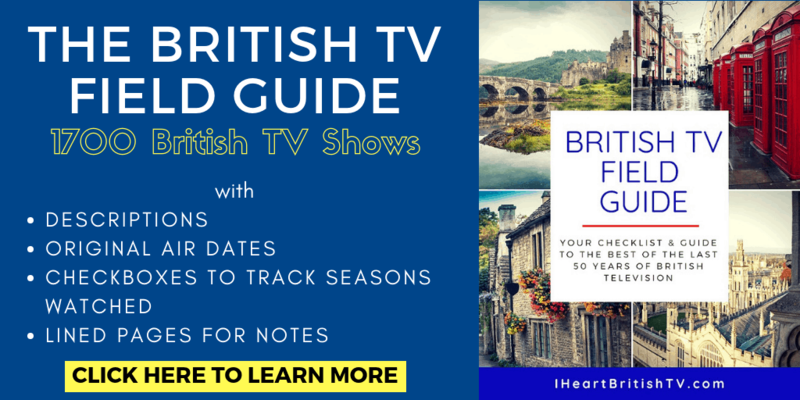 Acorn TV had the exclusive US premiere and began airing episodes once weekly on April 2, 2018. Though we don't have confirmation that they'll premiere Season 3 or offer similar timing, there's nothing to suggest they won't (and they continue to offer the other two seasons for streaming). What's The Good Karma Hospital All About? In case you're a bit late to the party on this one, The Good Karma Hospital is about a heartbroken young doctor who moves from England to coastal Southern India in search of distraction. While she's prepared for many aspects of the move, she's surprised at just how different things can be working in a small, underfunded Indian hospital. Amrita Acharia (Game of Thrones) stars as the heartbroken Dr. Ruby Walker, and Amanda Redman (New Tricks, Honest) plays Dr. Lydia Fonseca, the woman in charge of the hospital. Other familiar faces include Neil Morrissey (Boon, Grantchester), Philip Jackson (Boomers, Poirot), and Phyllis Logan (Girlsfriends, Downton Abbey). 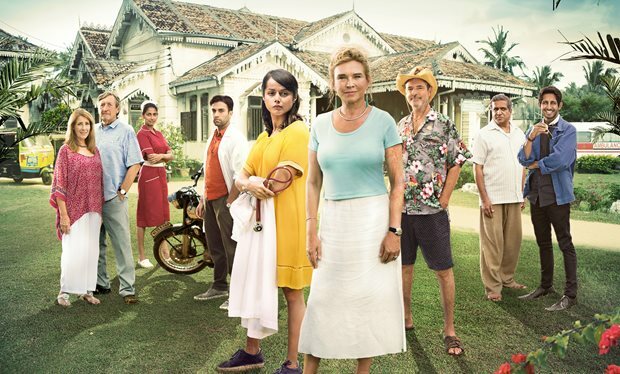 The Good Karma Hospital was created by Dan Sefton, with a writing team that includes Dan Sefton, Nancy Harris, Vinay Patel, Nicola Wilson, Ben Edwards, and Gabbie Asher. For a British show with just 12 episodes, that's actually a pretty large writing staff. While US-based shows are often written by large writing teams, it's not at all uncommon to see British shows written by just 1 to 3 people. Endeavour, for example, was written entirely by Russell Lewis. Miranda, The Detectorists, and Friday Night Dinner were also written by single writers (Miranda Hart, Mackenzie Crook, and Robert Popper, respectively). What's Happening in Season 3 of The Good Karma Hospital? Season 2 of The Good Karma Hospital ended on an unpleasant cliffhanger. Dr. Walker let Dr. Varma know that she needed a bit of space to figure things out, but that she hoped he would wait for her. Season 3 is expected to dive into that relationship, as well as Dr. Walker's relationship with her long-lost father. Social media for the show (Instagram, Facebook) has been completely silent since April/May, without so much as a single “back on the set” cast photo coming out. Although the show is set in Southern India, it's actually filmed in Sri Lanka. Many viewers ask about the scars on star Amanda Burton's arm. She was badly burned by a pan of boiling soup when she was just 18 months old. If you find yourself in Sri Lanka, you can visit locations from the show in Unawatuna in southern Sri Lanka. Check out Thiranagama Golden Beach Restaurant and the Galle District. In case you need something to distract you while eagerly awaiting Season 3 of The Good Karma Hospital, check out these shows and movies. None are quite the same, but they all capture some aspect of the show's magic.